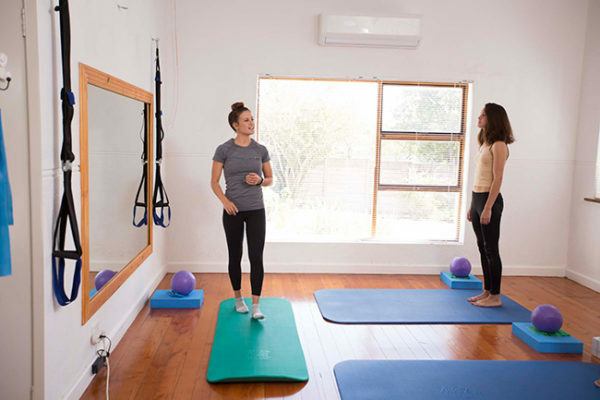 Resting in the heart of Cape Town’s northern suburbs is the Mint Pilates Wellness Studio, the brainchild of Bianca Oppel, a qualified pilates instructor. 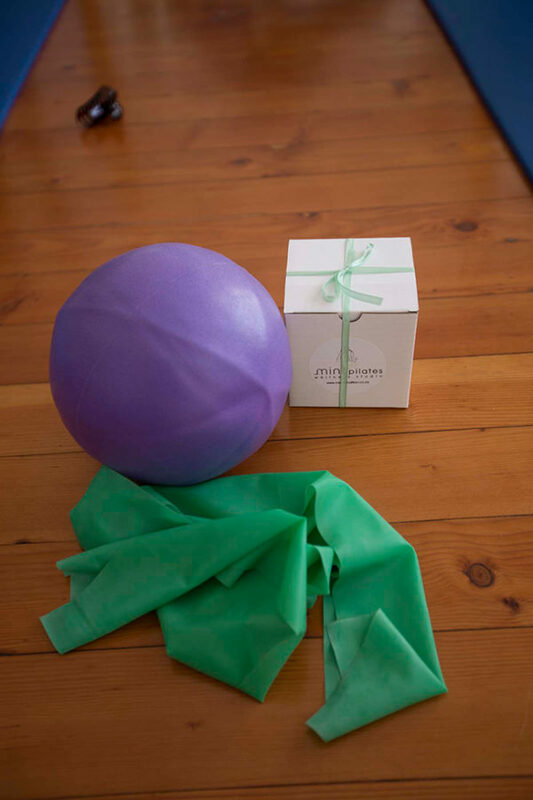 Having expertise in both pregnancy and reformer pilates, we were thrilled when she warmly welcomed us for a class. Her studio, a luminous and tranquil space sporting white walls, perfectly lends itself to the rejuvenation of both the mind and body. Being attentive to her students’ personal needs, she began by asking us about our experience with physical movement and whether we had any medical conditions that we were concerned about. That being said, it’s vital to bear in mind your state of health before embarking on an exercise routine, especially if you’re a beginner. Her friendly nature made it effortless for us to chat with her, allowing the class to get underway on a high note. She taught all exercises in a sequence that prepared our bodies for a high level of mobility, as exercises became more technical as we progressed through the routine. Having an awareness of the proper mobility patterns was necessary for ensuring that we used our muscles in an optimal manner, leading to a well-conditioned posture. The first pose, known as a Relaxation Position, creates a mind-body connection. In this pose, we lay with our backs, arms and feet on the mat, with our knees bent. The strained areas of our bodies had a chance to rest, while the less taxed areas were strengthened. Next came the Pelvic Clock, a warm up exercise that stabilised our spines. This involved lying in the Relaxation Position before rolling our hips back and forth. From there, we kept our arms and feet on the mat, slowly raising our backs and hips one vertebrae at a time, before descending to the mat. Performed with bent knees, this move is called a Spine Curl, which strives to mobilise the hip joints and spine. After that, the routine became more demanding as we, in the Spine Curl stance, lifted our legs one at a time so that our knees were above our hips. The leg lifting process is dubbed ‘marching legs’ and conditioned our oblique and gluteal muscle groups. We continued to curve our bodies as we did Curl Ups, an activity that is conducive to a more stable thorax, the section of the body between the neck and abdomen. While in the Relaxation Position, we put our hands behind our heads with our elbows a little higher than our shoulders. With our chins nodded towards our chests, we ascended our backs and heads off the mat, before once again descending them to the mat. Curl Ups were enhanced with what is known as a Double Knee Fold, an action in which our knees were kept together and elevated above our hips, while aspiring to have our shins parallel to the floor. This action no doubt gave our tummy muscles a challenge. The challenge didn’t end there since after lowering our heads to the mat, we held our Double Knee Fold in place, as we attempted to tilt our hips forward with our lower backs flat on the mat. Apart from our tummy muscles, this motion, the Pelvic Lift, worked our hip muscles too. To end of our session on the mat, we tried the Full Roll Up, which consecutively mobilised our backs and hips, and made our trunk flexors hardier. With our legs flat on the mat, we held our arms vertically above our heads, before slowly lifting our heads and chests. As we did this, our arms moved downwards until they were held horizontally above our legs. We then flexed our ankles and stretched our arms as far as we could, with our sights set on touching our toes. Now that the mat session was over, we could move on the most exciting part- using the reformer. None of us had ever used this large, advanced piece of equipment before, and we were somewhat daunted when we saw it. However, once we climbed on, we realised that reformer pilates can be quite fun! At the back of the machine is a wooden bar that springs can be attached to. Lying on the stretcher with our hands on the bar, then lifting the bar as we sat up, was probably the toughest reformer exercise that we did, but an eye-opening experience nevertheless. If we had the chance, we would have stayed a little bit longer to have a manicure at the studio’s in-house salon, where one student blissfully had her nails painted. Alas, it was time to leave, but not without a sweet welcoming box from Bianca. Filled with a resistance band and sumptuous nut butter, it gave us no excuse not to practise our pilates and snack healthily at home. We also received a discounted voucher that of course tempted us to visit again soon!